Real names, Raoul John Njeng-Njeng, musician Skales was born on April 1st 1991 in Kaduna, Nigeria. The celebrated musician started his journey in 2000 as a rapper and songwriter. Skales’ first encounter with music was in 2007 when he travelled to Jos to work with Jeremiah Gyang and Jesse Jagz. A year later, he emerged winner for the Northern Central region of the Zain Tru Search and moved to Lagos. His first ever single ‘Must Shine’ was released in 2008 and was quickly followed with one of the greatest rap songs ever recorded in the Nigerian music history by an artist under 21, titled ‘Heading For A Grammy’. Off the radio success of this song, Skales scored a record deal with Banky W’s Empire Mates Entertainment and became a ‘new-school’ force to reckon with. Skales has become a well-known name with his unique rap style, vocal talents and charm on stage. Over the years, he has worked with numerous artists, producers and is undoubtedly one of the most featured musicians in these times. In 2014, Skales together with his producer, Drey Beatz and other partners formerly launched a production outfit called OHK Entertainment. 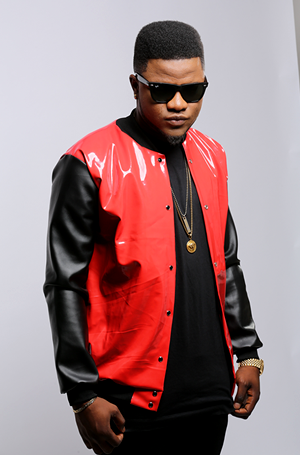 Now signed to Baseline Music, Skales has 3 singles out – Obi, Shake Body and Give It To Me. Shake Body is currently on of the biggest tunes in Nigeria and sits at the number one spot of Nigeria’s foremost chart show, the MTN Y’ello Top 10, while Obi and Give It To Me are steady climbing up the charts. Skales’ debut album will be released later this year, which is also home to feisty singer, Saeon, soul artiste, Aramide, and producer, Mr Chidoo.